The diamond lover will find plenty to admire about Amden as a brand. 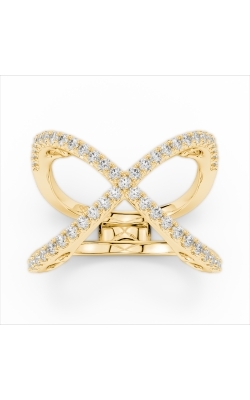 As a branch of the esteemed Ital Gold, Inc., a 35-year designer of gold jewelry mountings, Amden has brought the finest combinations of gold and fiery diamonds in the form of engagement rings, wedding bands, and fashion jewelry to dazzled customers. With styles of women’s jewelry ranging from minimalist pieces of dainty beauty to renditions of classic styles done in cutting-edge chic, you’ll find that here at Northeastern Fine Jewelers, we have the right Amden jewelry to satisfy your tastes. 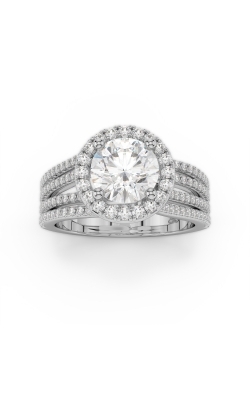 Two of the most popular offerings from Northeastern Fine Jewelers are the engagement rings and wedding bands that make up the Amden bridal line. The Seamless collection features engagement rings and wedding bands whose diamonds are pave-set, creating the illusion of an endless ribbon of light around a woman’s finger. With its choices available in 18k white, rose, and yellow gold, you’ll get to see the color of your choice glowing through these beautiful diamonds. The Glamour collection, on the other hand, tends toward playing with the shape of the band in order to draw attention: Delicate loops of gold, flower-shaped halos, and creative oval-shaped frames around the diamonds all have the effect of drawing attention. The Glamour collection also makes up the lion’s share of Amden’s fashion rings. And the unique shapes seen in the collection’s bridal jewelry reach their peak when expressed as fashion rings. Our customers have been wowed by hexagonal halos surrounding seven center diamonds; by fashion rings made entirely of solid gold windows; by fashion rings whose diamonds are each surrounded by their own individual halos; and more! Also, colored gemstone lovers shouldn’t forget that this is where you can find Amden’s designs made with rubies and sapphires. 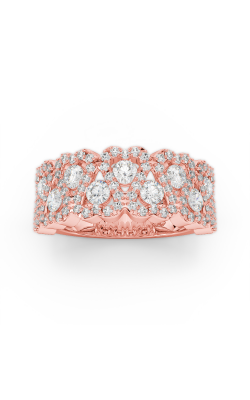 Why Shop for Amden at Northeastern Fine Jewelry? Over 38 years, we at Northeastern Fine Jewelers have learned what it is that surprises and impresses our customers, so we’re sure that there’s a piece of Amden jewelry that will end up on your wishlist. We also carry many other brands who have their own delightful take on fashion jewelry, engagement rings, and wedding bands, and if you’re looking for Swiss-quality timepieces, we have you covered. Because of our white-glove services, including jewelry repair and custom design, we’re ready to be your jeweler for decades to come. If you’re interested in our jewelry or services, contact us at 1-855-795-NEFJ (6335), or visit our Schenectady, New York showroom today!